Where, oh, where is the Thunder going? It has now been 78 days of pursuit of this toothfish poacher by the Sea Shepherd ship, Bob Barker. The poachers speed up and drift. They go east and then west again and drift. The intent is obvious; they are trying to outlast the crew on the Bob Barker, but Captain Peter Hammarstedt and his crew are not going to let these poachers go. Meanwhile, Captain Sid Chakravarty is meeting with INTERPOL officials to organize the evidence of the Thunder's poaching activities, i.e. the 72 kilometers (approx. 44.7 miles) of gill net that the Thunder abandoned when it began to flee from the Bob Barker on Dec. 17. 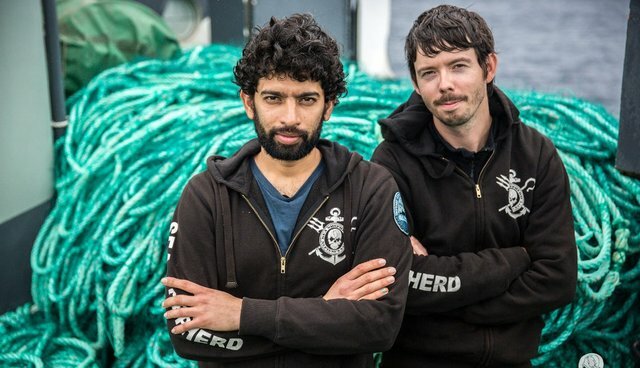 The Austral Fisheries has commended Sea Shepherd along with the Australian and New Zealand governments for taking action against these illegal operations. A few crewmembers have departed from the Sea Shepherd ship, Sam Simon to return home after months of service to the campaigns. They have been replaced by new crewmembers arriving in Mauritius. As soon as the Sam Simon completes the investigations with INTERPOL in Mauritius, the ship will return to sea to assist the Bob Barker. Operation Icefish has been very successful in exposing the operations of these poachers and making connections between them and fishing companies in Spain. The Thunder has lost its nets, its catch and its profits for the entire season and still faces prosecution in whichever port it is forced to go to once short of fuel and supplies. This is the longest pursuit of a poacher in maritime history, surpassing the 21-day pursuit of a Uruguayan poacher in 2003 by Australian Customs.